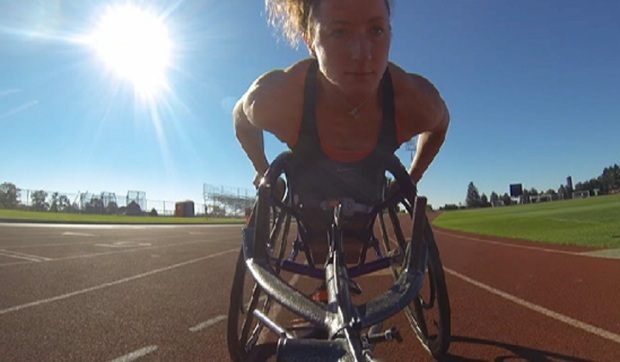 University of Illinois alum Tatyana McFadden won her fourth consecutive Chicago Marathon Sunday in the women's wheelchair race. The win marks her fifth in the past six years. "I'm feeling on top of the world right now," McFadden said. "That race made me really, really nervous. I really took off around Mile 4, and that was really gutsy." Last year she won marathons in Chicago, Boston, London and New York, making her the first person, either disabled or able-bodied, to win four major marathons in one year. 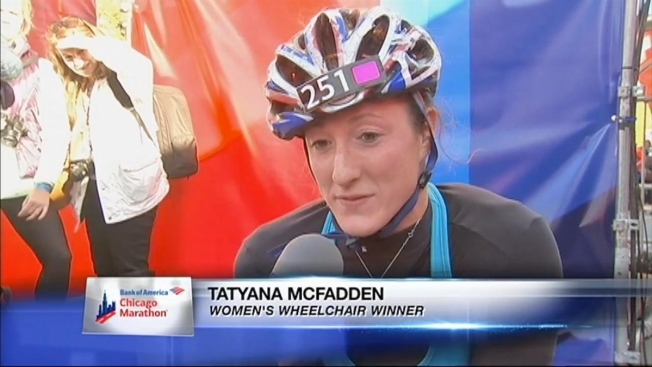 Tatyana McFadden will be trying to defend her Bank of America Chicago Marathon wheelchair racing crown and brings a group of competitive teammates with her to the 2014 race. McFadden credits her coach and teammates at U of I in Champaign with pushing her to succeed. "Chicago is absolutely amazing," she said Sunday. "It's a really, really strong field and it's only getting faster. I'm really proud of my teammates as well." McFadden also won a silver medal in cross-country skiing at the Sochi 2014 Paralympic Winter Games.